We’d love your help. Let us know what’s wrong with this preview of Death on the River by Diane Fanning. 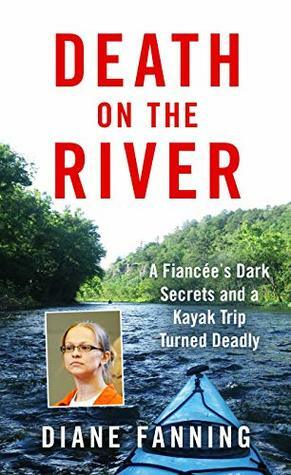 In Death on the River, bestselling true crime author Diane Fanning recounts a tragic kayak accident that left one man dead—and his fiancée arrested for his murder. After hours of questioning, Angelika made several shocking admissions. She said she felt “trapped” and fed up with Vincent’s “demanding” sexual lifestyle: the nightlife, the strip clubs, the threeways. “I wanted him dead,” she had said, even though she insisted that she didn’t kill him. But as more lurid details emerged—including a $250,000 life insurance policy—a killer question remained: Did Angelika remove the plug of her fiancé’s boat…and knock away his paddle as he sank? To ask other readers questions about Death on the River, please sign up. received a DIGITAL Advance Reader Copy of this book from #NetGalley in exchange for an honest review. It seemed like the perfect romantic afternoon: a kayaking trip for two on the Hudson River received a DIGITAL Advance Reader Copy of this book from #NetGalley in exchange for an honest review. After hours of questioning, Angelika made several shocking admissions. She said she felt “trapped” and fed up with Vincent’s “demanding” sexual lifestyle: the nightlife, the strip clubs, the three-ways. “I wanted him dead,” she had said, even though she insisted that she didn’t kill him. But as more lurid details emerged—including a $250,000 life insurance policy—a killer question remained: Did Angelika remove the plug of her fiancé’s boat…and knock away his paddle as he sank? The book is well written and was a welcome addition to all the tv news stories/shows about her on Dateline and 20/20 - she presents it in a readable manner and does show compassion for both the victim, Vince (and the smearing of his life and reputation) and his killer. Diane Fanning is one of the more prolific writers in the true crime genre, and I have read several of her titles, being appropriately creeped out and generally entertained by them all. Usually, I am not familiar with the topics, but I either had read something about this one, or possible listened to a podcast about it. In any case, Death on The River, set on New York’s Hudson River, is the setting for her latest and it was a story that creeped me out somewhat the first time I heard about it and Diane Fanning is one of the more prolific writers in the true crime genre, and I have read several of her titles, being appropriately creeped out and generally entertained by them all. Usually, I am not familiar with the topics, but I either had read something about this one, or possible listened to a podcast about it. In any case, Death on The River, set on New York’s Hudson River, is the setting for her latest and it was a story that creeped me out somewhat the first time I heard about it and COMPLETELY creeped me out when I read Ms. Fanning’s book about this heartless crime. There is no mystery in this one. A beautiful blonde name Angelika Graswald and her fiancé, Vincent Viafore, went kayaking on the river, and while it seemed like it should have been a perfect romantic afternoon, only Angelika came back. She had called 911 from her kayak to report Vincent had fallen into the extremely cold and fairly rough waters. A search party came quickly, but what they all assumed was an accident started to look like it maybe was something ese when Angelika posted videos of herself doing cartwheels on social media, after Vince disappeared but shortly before his body was found. Her story unraveled quickly, as she admitted to police that she felt “trapped” by Vincent and was totally over his demands for a wild lifestyle: he loved nightlife, strip clubs, and threesomes. She says she wanted him dead, but she also said she didn’t kill him. Turned out she was the beneficiary of his life insurance , and she admitted not only removing the plug from Vincent’s kayak, but knocking his paddle away as he struggled to stay afloat after he fell in. I used to read a lot of true crime but quit reading it for some reason. After reading and enjoying this book, I think it's time to start reading more in this genre. I find it interesting to find out the story behind the news story and to try to understand the mind of a person who feels that murdering another person is ok. In this case, she murdered someone that she was engaged to which made the crime even more unimaginable. The story begins on a perfect day when Angelika and Vincent go on a kayak I used to read a lot of true crime but quit reading it for some reason. After reading and enjoying this book, I think it's time to start reading more in this genre. I find it interesting to find out the story behind the news story and to try to understand the mind of a person who feels that murdering another person is ok. In this case, she murdered someone that she was engaged to which made the crime even more unimaginable. The story begins on a perfect day when Angelika and Vincent go on a kayaking trip in the Hudson River. They were both experienced kayakers but something went wrong at the end of their day. The water got rough and she called 911 to try to get help after his kayak turned over. The authorities considered it an accidental death until they questioned her. Her story kept changing and she didn't seem too upset over the death. In fact, she seemed almost happy that he was gone. As the police questioned her, they kept getting more and more honesty from her and finally had information to charge her with murder. As more details emerged—including a $250,000 life insurance policy—a killer question remained: Did Angelika remove the plug of her fiancé’s boat…and knock away his paddle as he sank? I hadn't heard anything about this crime before I read the book and found it all very interesting. Since I finished the book, I have watched several videos about Angelika and her life today. I thought that this was an well written and deeply researched book and recommend it to readers of true crime. Thanks to the publisher for a copy of this book to read and review. All opinions are my own.